1 - Download the viewer of your choice, we recommend Firestom: DOWNLOAD. 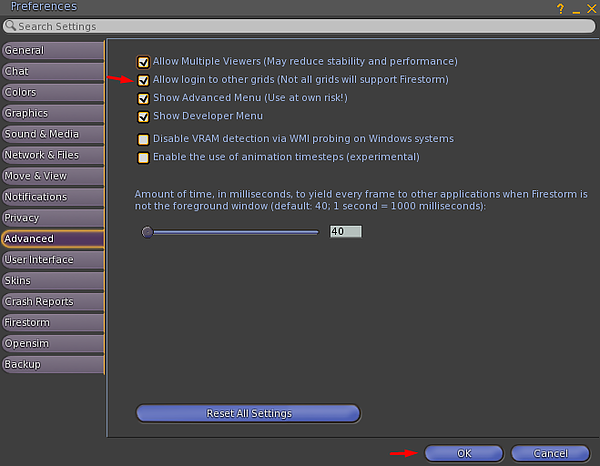 2 - After downloading and installing, go to "Viewer" and then "Preferences" or (CTRL + P). 3 - Select the "Opensim" tab, if you do not have this tab go to the page http://www.firestormviewer.org/windows and choose the option "For SL & Opensim". 5 - Click "Apply" and then "OK". 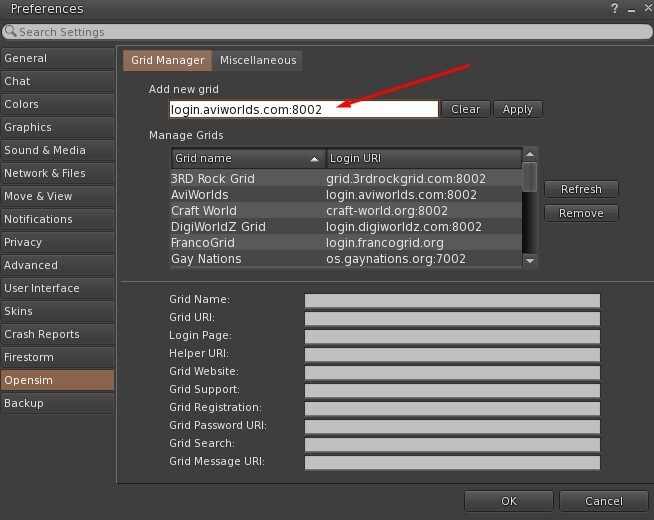 6 - Once you have created the avatar account in the page http://login.aviworlds.com/gridsite/register, enter your fist and last name in the field, your password and part of "Grid" select "AviWorlds". 2019 © Reserved to AviWorlds.